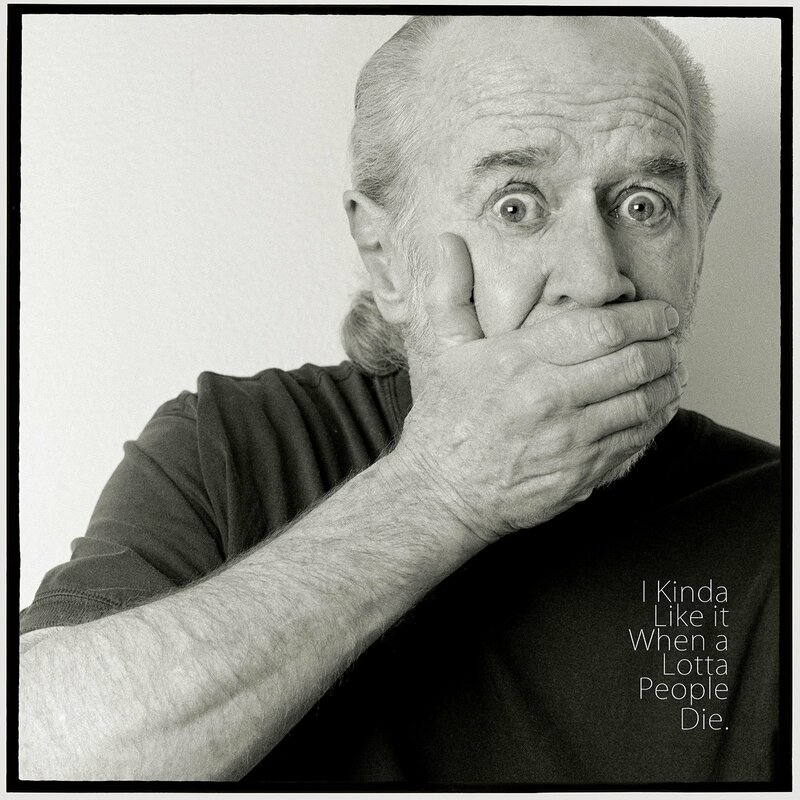 September 16th marks the release of a new album by the late George Carlin titled I Kinda Like It When A Lotta People Die, scheduled to be released on CD, digital and vinyl. What's special about the new album, apart from it being a posthumous release of rare material, is that it includes some of Carlin's darkest routines ever about mass fatalities, recorded on September 10th 2001, just one day before 9/11 happened. Carlin later removed the sensitive material for obvious reasons and even renamed the whole thing, as I Kinda Like It When A Lotta People Die was initially going to be the title of his then record and HBO special which was finally given the title Complaints And Grievances, nominated for a Best Spoken Word Comedy Album at the Grammies in 2003. I Kinda Like It When A Lotta People Die will also feature some other rare Carlin goodies like a 1957 home recording of his and interviews with Jerry Hamza, Carlin's longtime manager and best friend, and Rocco Urbisci, director of ten Carlin comedy specials.